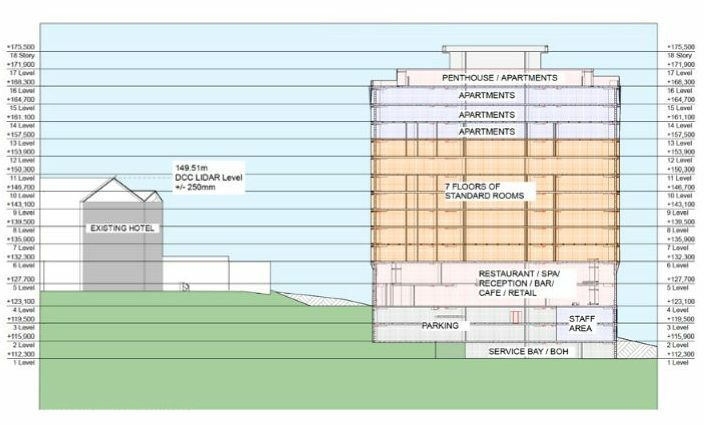 Submissions close: Wednesday, 10 May 2017 at 5:00 p.m.
Land use consent is sought to construct and operate a commercial residential development involving 210 visitor accommodation rooms (hotel rooms), 64 self-contained apartments, four self-contained penthouse suites, together with licensed premises, retail, conference, meeting facilities and on-site amenities, parking, and servicing. 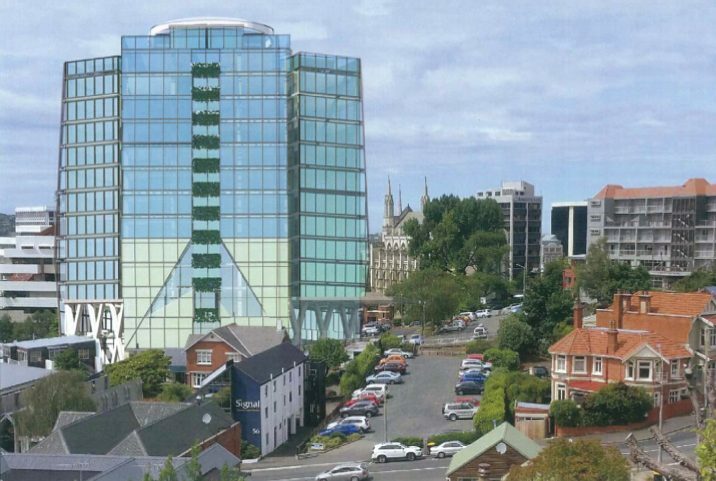 The development proposes a new building with 17 storeys (including the lift core on the top of the building, and three levels of the building extending below ground). 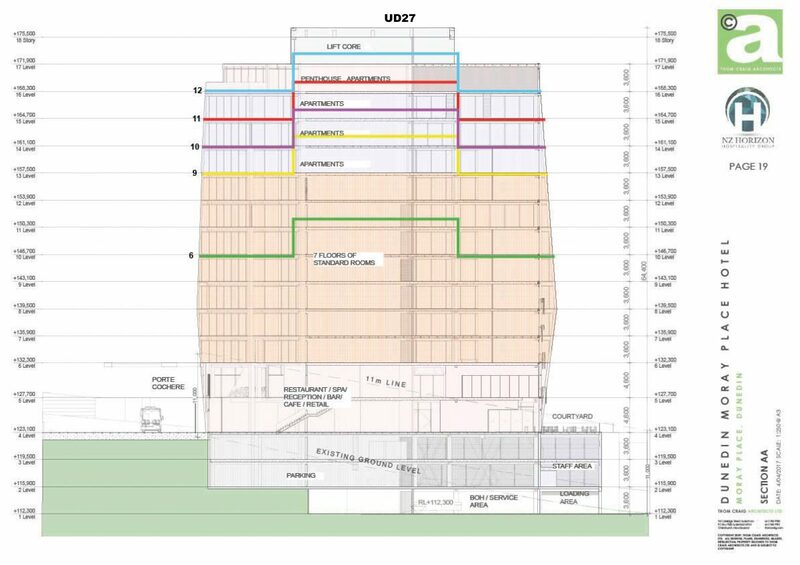 The overall height of the proposed building varies in relation to the existing ground level, but will be approximately 62.5m at the highest point above the existing ground level (including the lift core). 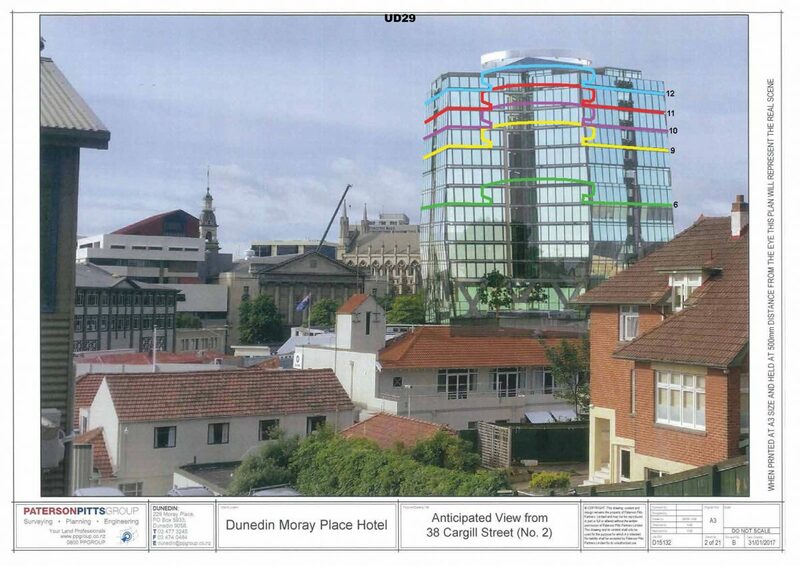 The proposed building is assessed as a non-complying activity under the operative Dunedin City District Plan. The application includes an assessment of effects. 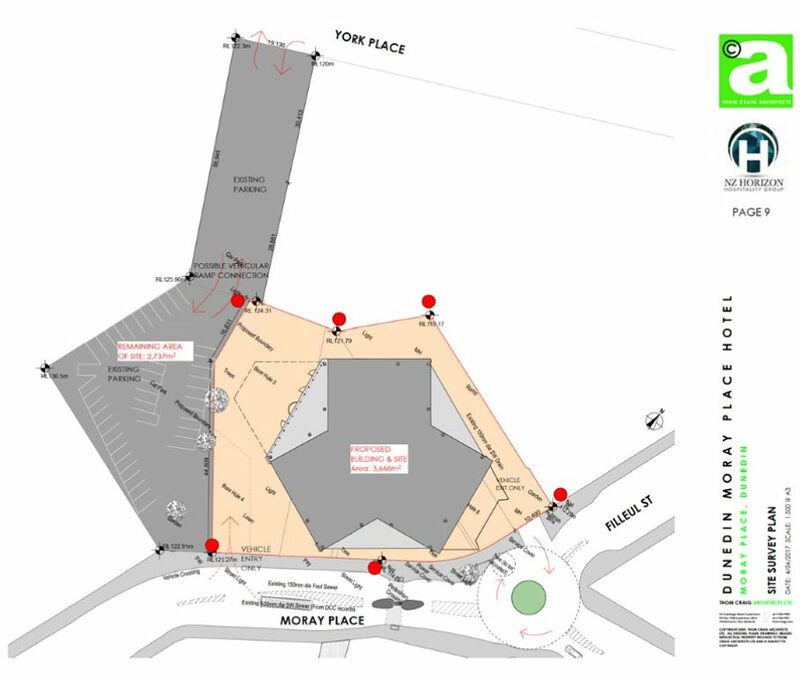 Land use consent is also sought for earthworks because the site development will involve an estimated 8,914m3 of earthworks and a maximum cut depth of 7.35 metres from existing ground level. 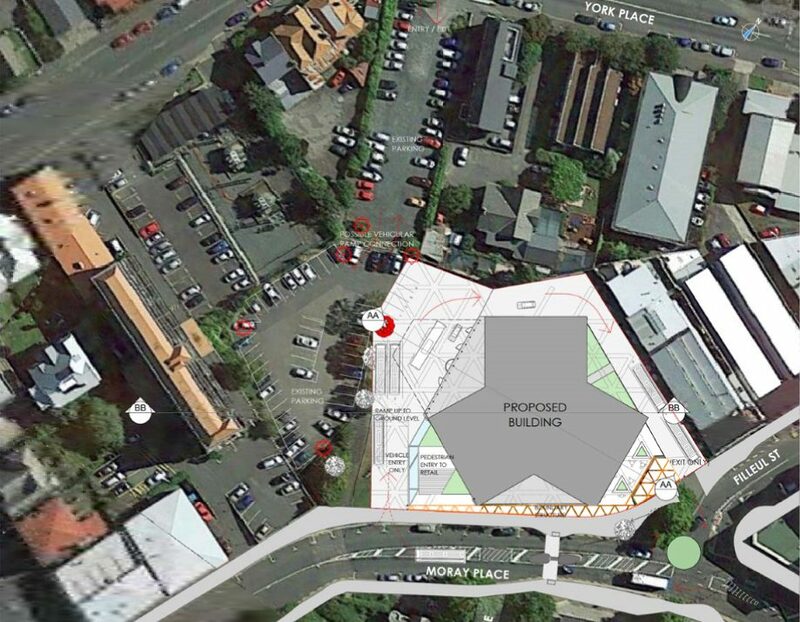 Subdivision consent is sought for a unit title subdivision in relation to the proposed building. 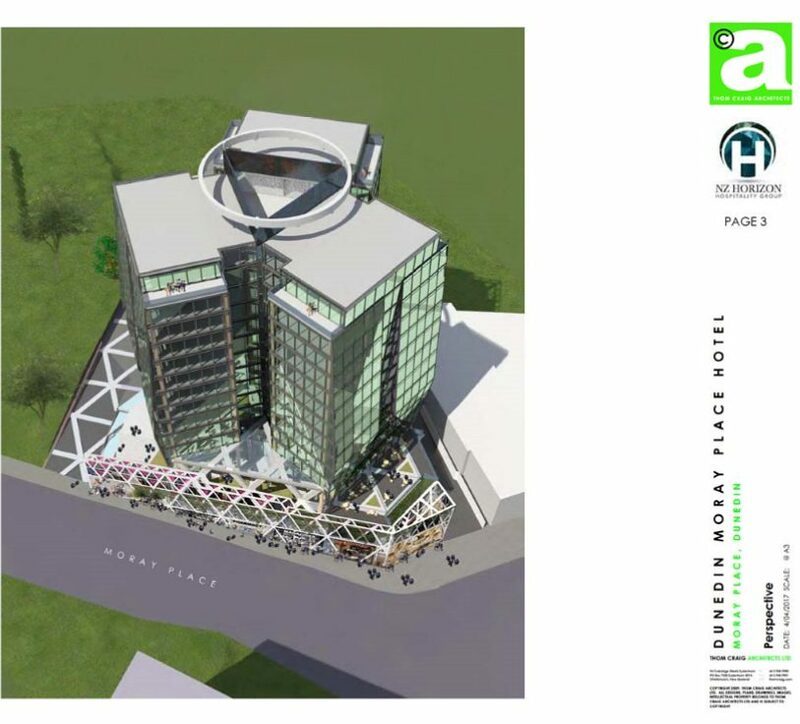 The application includes plans of the proposed subdivision. 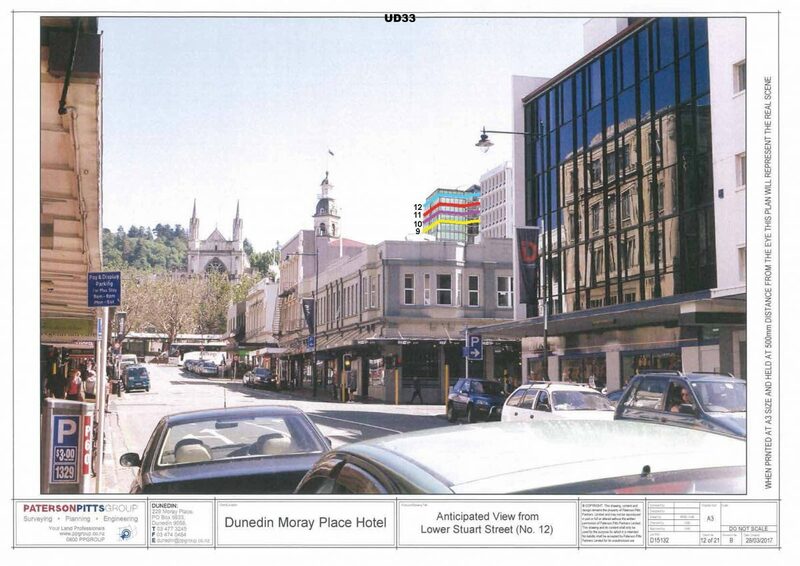 The subject site is located in the Central Activity Zone in the operative Dunedin City District Plan and is located within the north Princes Street/Moray Place/Exchange townscape precinct TH03. 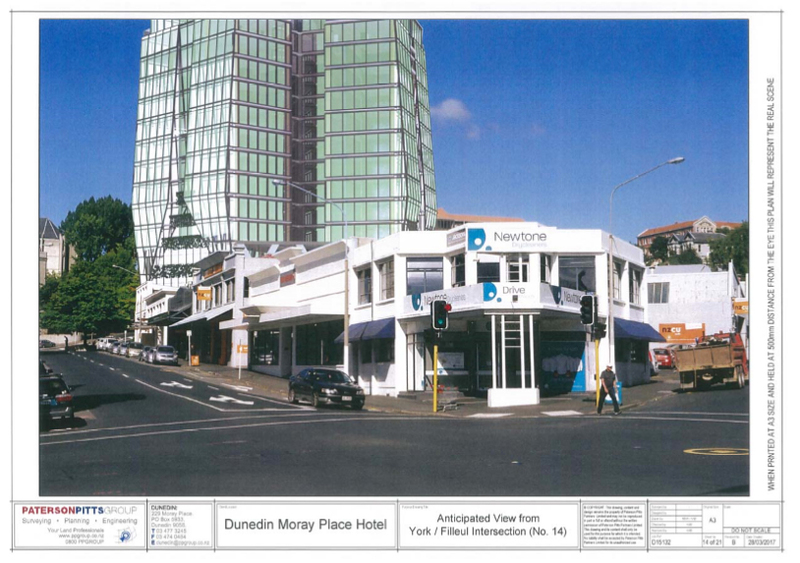 The proposed building is a non-complying activity under the operative Dunedin City District Plan (due to non-compliance with Rule 9.5.2(i) no front or side yards, Rule 9.5.2(iii) veranda requirements along Filleul Street frontage of the site, and signage under Rule 9.5.2(vi)). 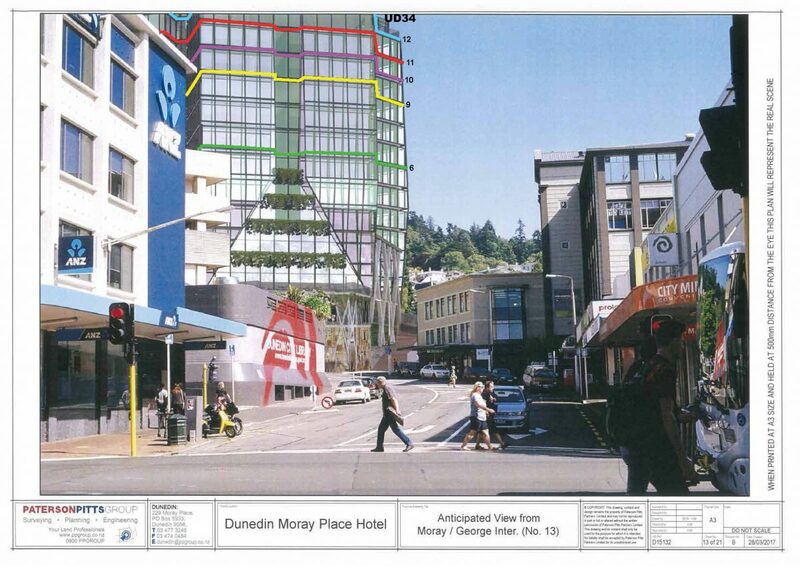 The building also exceeds the maximum 11 metre height limit under Rule 9.5.2(ii) which requires consent as a restricted discretionary activity under Rule 9.5.3(i). The proposal is also a controlled activity under Townscape Rule 13.7.2(i). 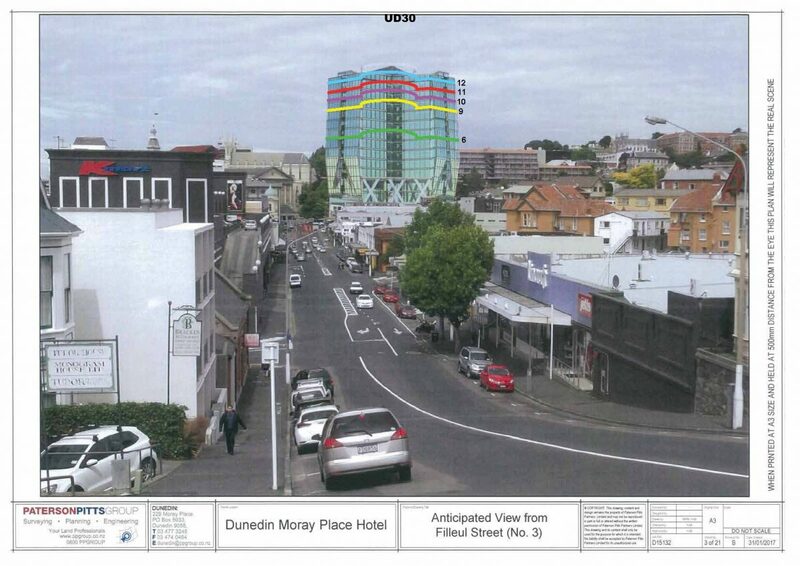 The proposed earthworks are a restricted discretionary activity under Rule 17.7.3 of the operative Dunedin City District Plan. The unit title subdivision is a non-complying activity under Rule 18.5.2. Rule 18.5.3 requires that every allotment in a subdivision must have both legal access and vehicle access to a formed road. 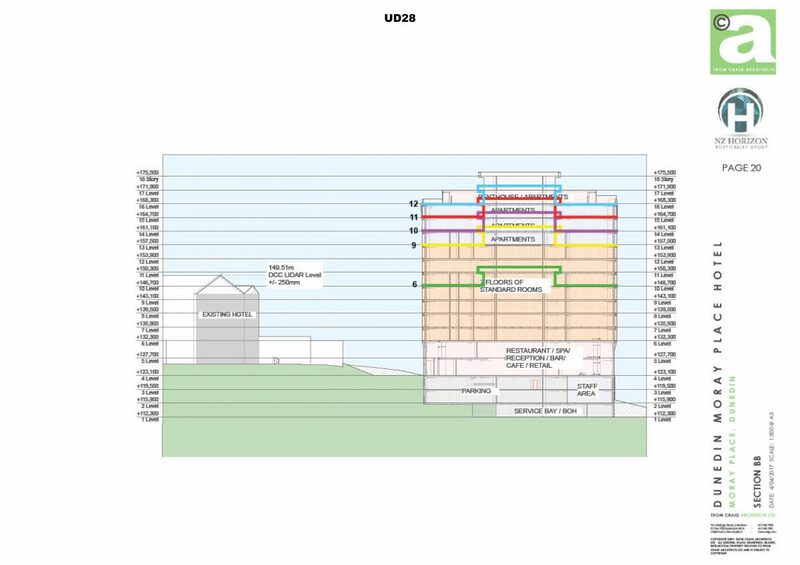 The rules for subdivision do not expressly provide for unit title divisions where the allotments created may comprise multiple units within a building. The subject site is zoned Central Business District in the proposed Second Generation Plan and a secondary pedestrian frontage applies. Please read the accompanying documents and reports that apply to this application, as listed here. 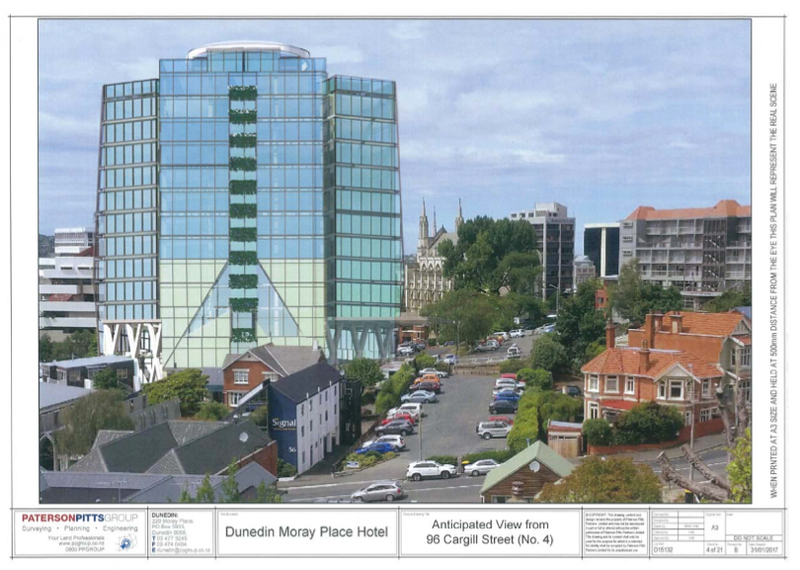 IMPORTANT: If you wish to make a submission on this application you may do so by sending a written submission to the consent authority, Dunedin City Council at PO Box 5045, Moray Place, Dunedin, 9058 Attn: City Planning, no later than 5:00 pm on the closing date shown. • Whether you wish to be heard in support of your submission. Please note: If you make your submission by electronic means, a signature is not required. An acknowledgment of your submission will be sent by post when the submission is accepted as complete. 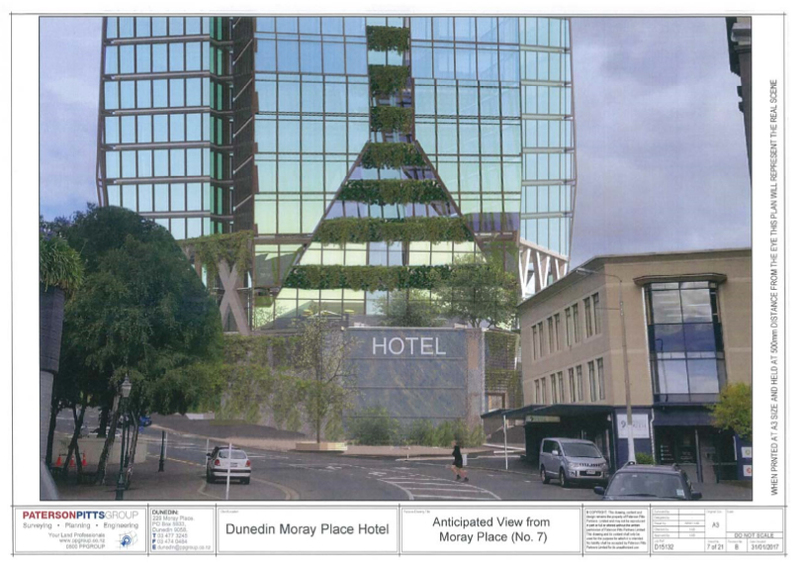 The application may be viewed at the City Planning Enquiries Desk, Customer Service Centre on the Ground Floor, Civic Centre, 50 The Octagon. 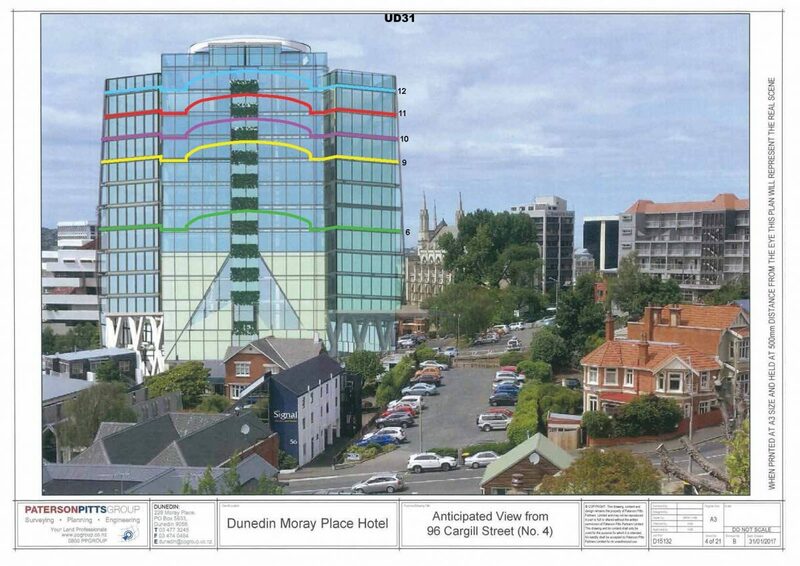 You must serve a copy of your submission on NZ Horizon Hospitality Group Limited, the applicant, whose address for service is Anderson & Co Resource Management, PO Box 5933, Dunedin 9058, as soon as reasonably practicable after serving your submission on the Dunedin City Council. NB. 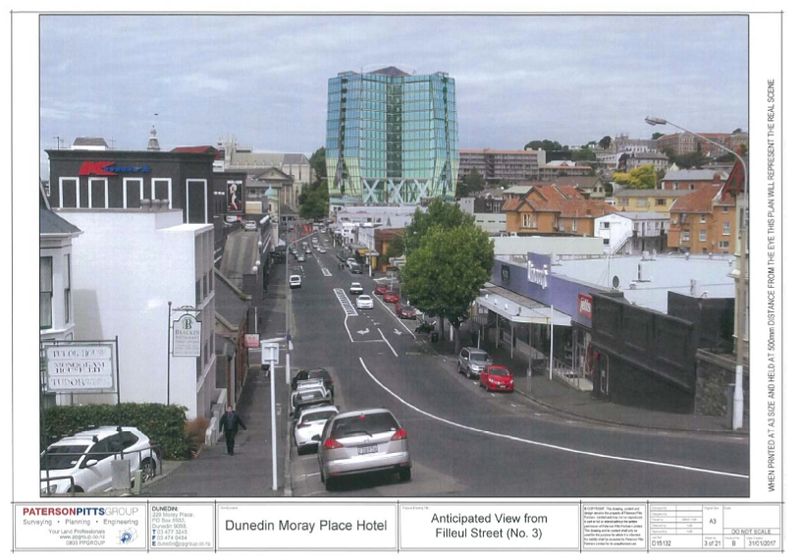 Note a number of the angled street views provided in the application are partial only – the full extent of the proposed building (in order to help assess accompanying effects) is not given except in wider landscape perspectives such as when seen from across the harbour or along street vistas. 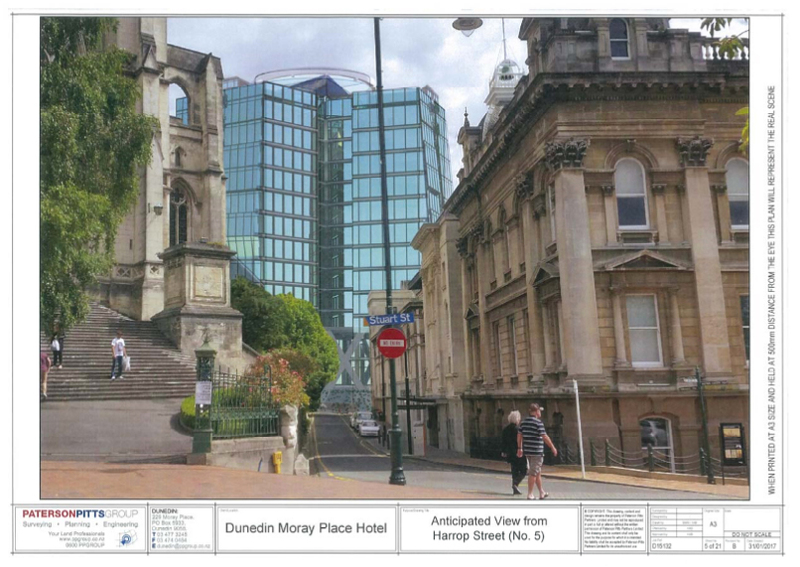 Most close-up perspective views of the proposed building, such as when seen from the Octagon, may appear to be ‘diminished’ or foreshortened in height – scale accuracy is difficult to determine in the presentation renders without technical knowledge of how the views were generated. 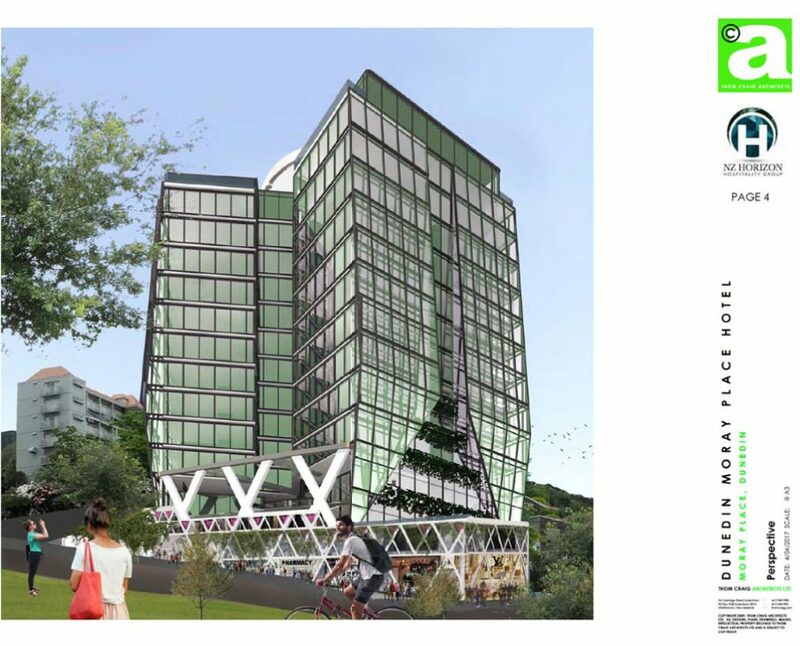 It is somewhat likely that independent peer review(s) of the (landscape and townscape) presentation renders provided by the applicant and their consultants will be sought by submitters, if not the processing authority. 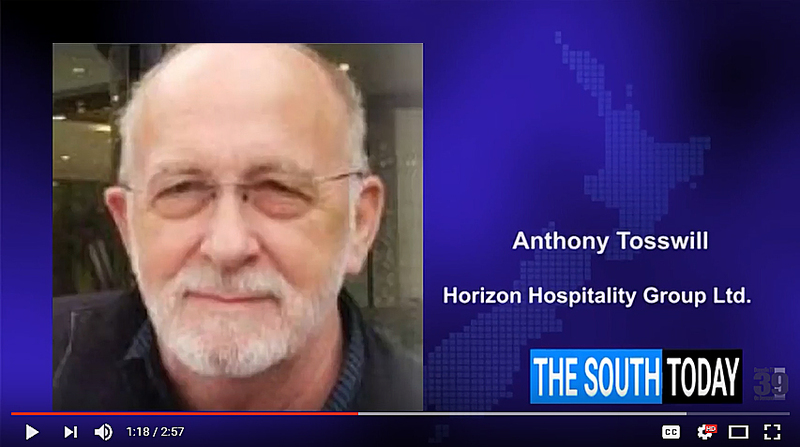 █ Spokesman for the (unnamed) developer is Anthony Tosswill of Tekapo, NZ. Mr Tosswill has noted in comments to What if? 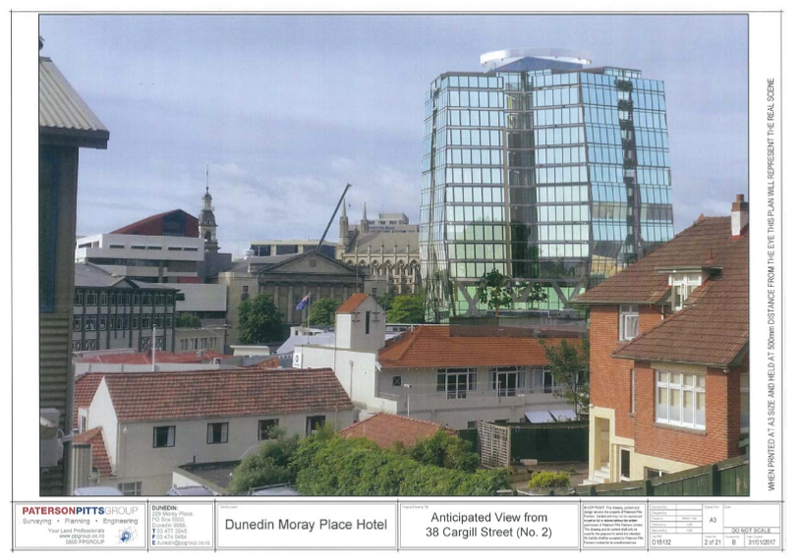 Dunedin that he speaks for the developer. 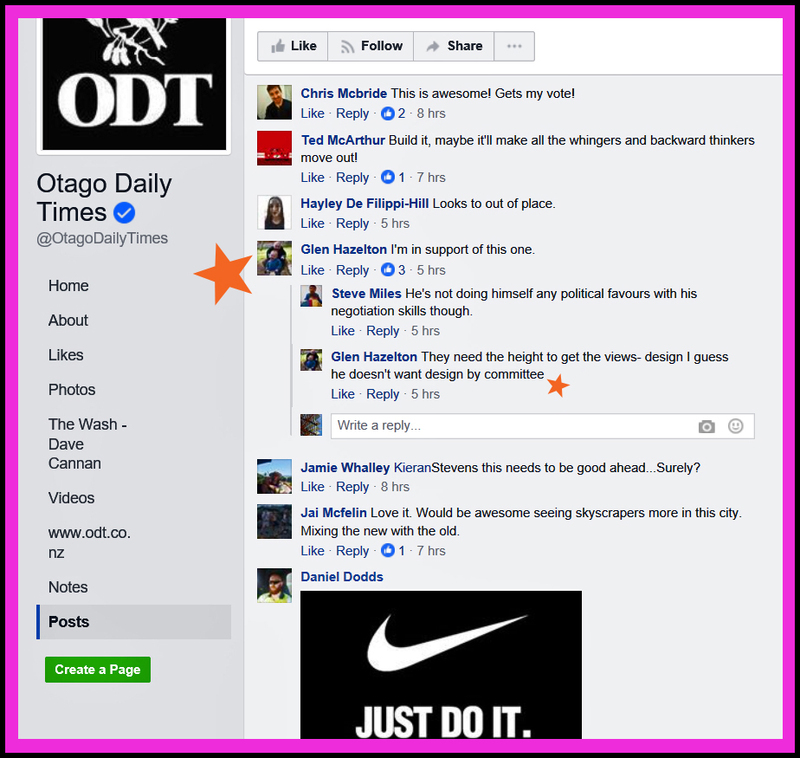 Mr Tosswill is not the developer, as may have been construed from news items published by the Otago Daily Times previously. *Poor quality of images as received via DCC webpages.